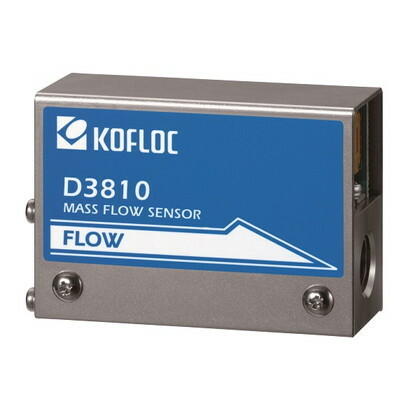 The Model D3810 is a completely renovated digital mass flow meter designed on the basic structure of existing KOFLOC Model 3810. Incorporating a CPU inside and is equipped with an innovative sensor, a single unit of this new model covers a broad range of flows from very small to large. ・Digital control allows the user to handle a broad range of flows(100 cc to 50 L). Specifications relating to the flow range (e.g., flow range, accuracy and response) are expressed in N2 or air equivalent. The product will be built with the primary pressure of 300 kPa or less and the secondary side open to the atmosphere. For details on the pressure requirements, please contact us.